The staff of Chaplaincy of Full Gospel Churches are all called by God to be servants to the Servants of God. We realize that Chaplains are more than just another minister. Chaplains are called on to operate in a pluralistic environment and we must hold each other accountable to that and to the standards God has placed before us. 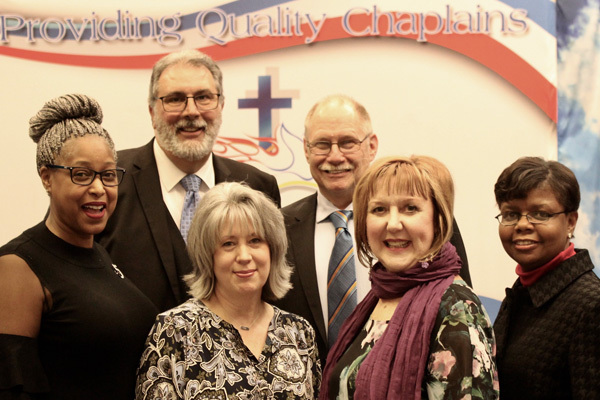 It is our goal, as a staff, to offer ecclesiastical endorsement to those qualified applicants and assist others in the process of becoming a chaplain. We offer encouragement, mentoring, counseling, training, resources, and great Christian fellowship. Copyright © 2008-2019 Chaplaincy of Full Gospel Churches USA. Website by Epic Life Creative.